Need to stake out some drawer territory? We have one word for you, just one word: stickers ($20). 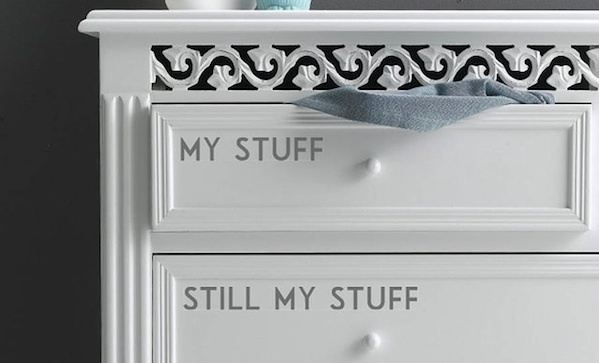 Label your drawers now and hopefully your stuff won’t be buried beneath a layer of hair dryers, bars, and about fifty women’s speed sticks.